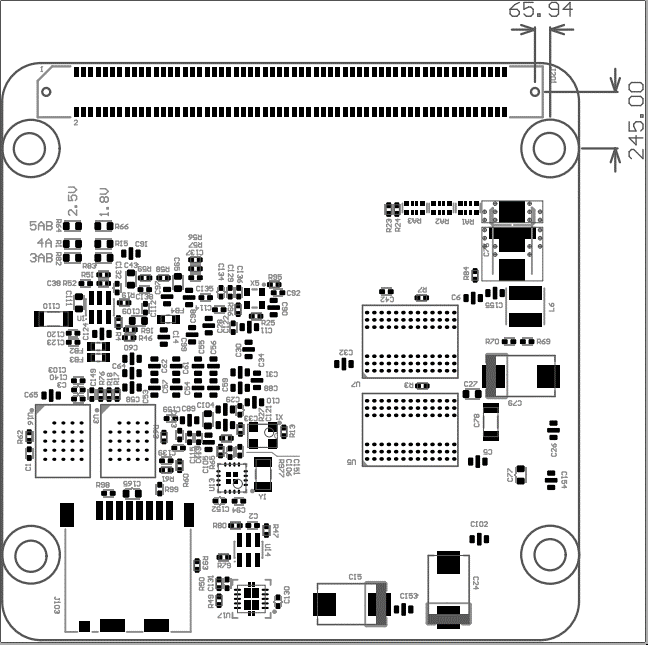 The MitySOM-5CSx with Dual Side Connectors (MitySOM-5CSx-DSC) is an Intel/Altera Cyclone V SoC module intended for use as an image processing board. 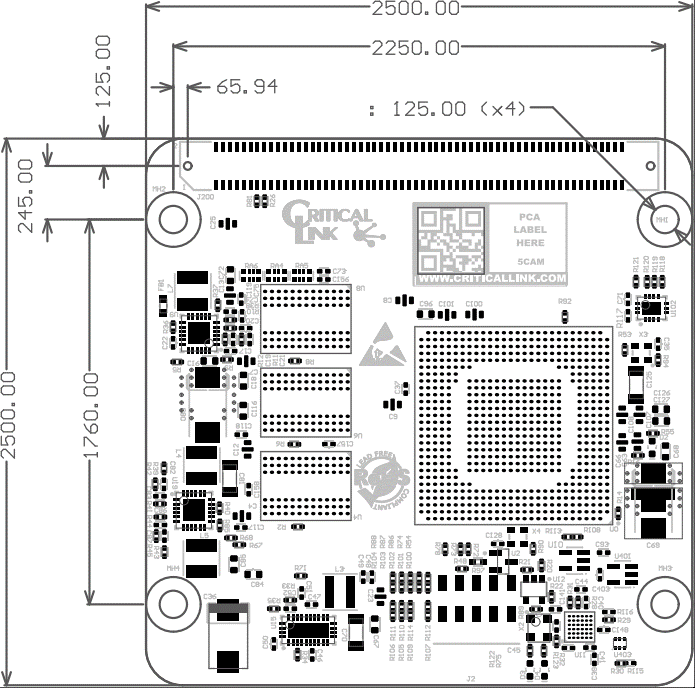 In addition to the processor, the module includes on-board power supplies, NOR FLASH, a DDR3 RAM memory subsystem, a real time clock (RTC), micro SD card, a USB 2.0 on the go (OTG) port, and a temperature sensor. 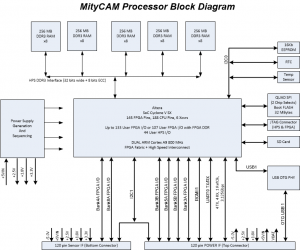 The MitySOM-5CSx-DSC provides a complete and flexible CPU infrastructure for highly integrated embedded systems. 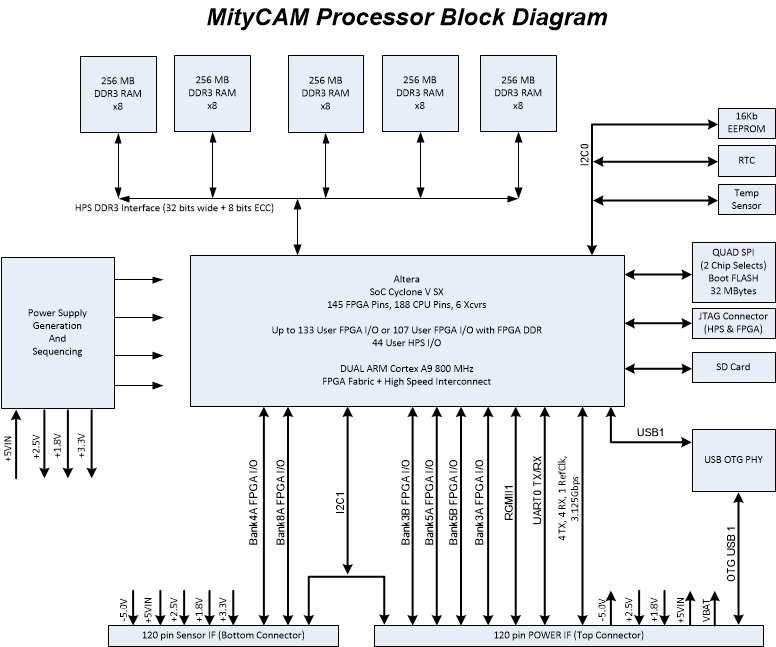 The MitySOM-5CSx-DSC is available with a 110KLE Cyclone V SX which provides dual-core Cortex-A9 32-bit RISC processors with dual NEON SIMD coprocessors. 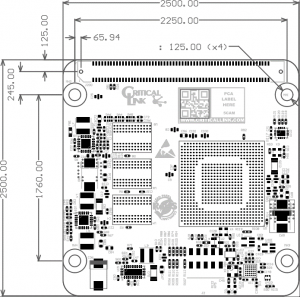 This MPU can run a rich set of real-time operating systems containing software applications programming interfaces (APIs) expected by modern system designers. The ARM architecture supports several operating systems, including Linux, Micrium uC/OS, Android and QNX. 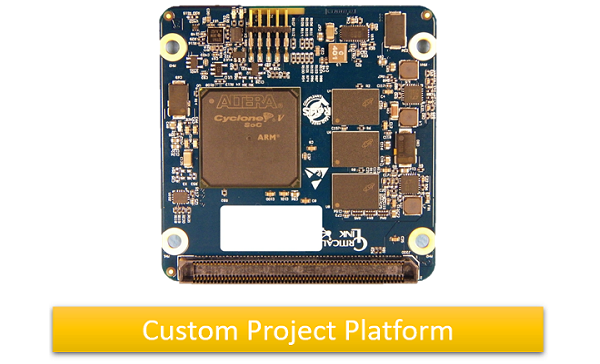 Contact Critical Link to inquire about a development kit for this Cyclone V SoC module. Our customers benefit from engineering and applications support for the life of their product. This includes free, lifetime access to our technical support site, as well as access to application engineering resources and other services. 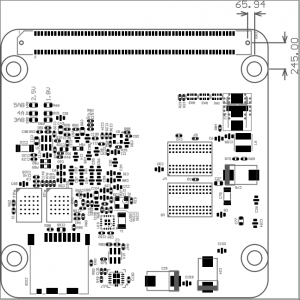 Does your application require an even more rugged Cyclone V SoC module? Contact Critical Link to learn about available options.